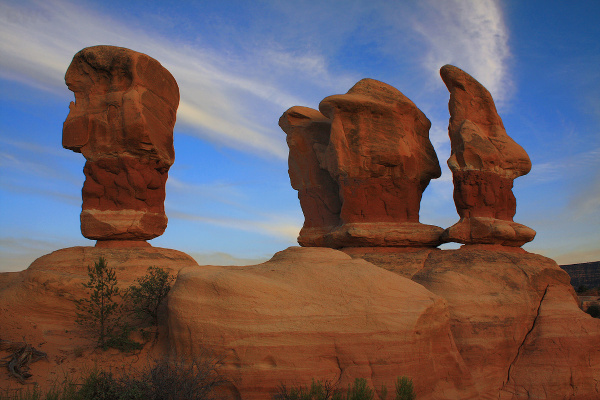 Devil´s Garden as a Hoodoo (who do) school! 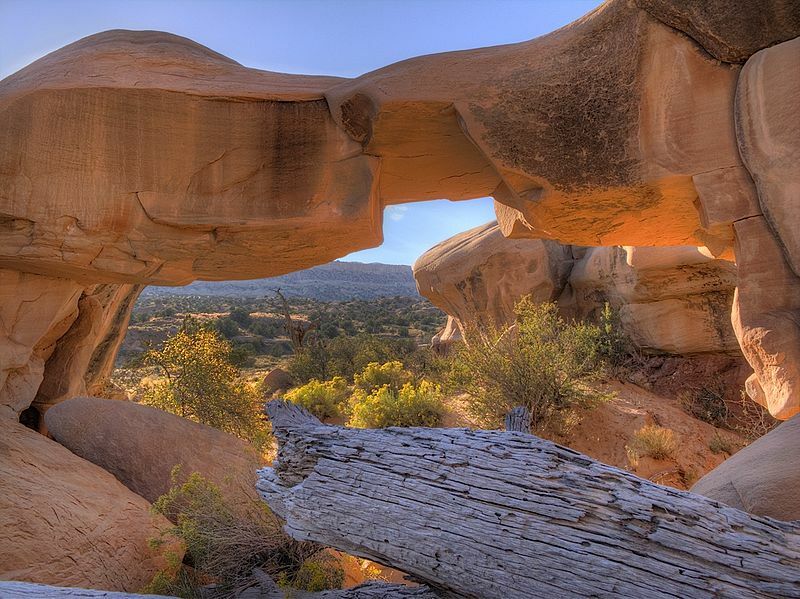 Devil’s Garden is a small site covering less than a kilometer of the Grand Staircase-Escalante Area, Utah, USA. Different to other magically beautiful sites in this area it can be reached easily as it is located right on the side of a road – the Hole in the Rock Road. 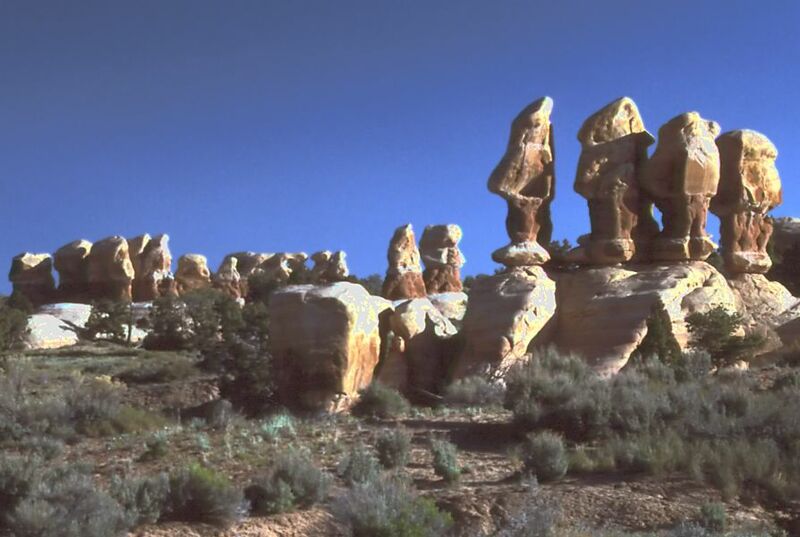 The Hoodoos at this site resemble figures and little creatures. Astrogeographic position for morphogenetic field level 3 which describes the energetical and morphogenetical topics and atmosphere of the site itself: both coordinates lie in highly practical air sign Gemini sign of roads, road crossings, bridges, signposts, symbols, language, letters, interfaces, communication, intelligence, learning. schools. As a Mercury sign and similar to Virgo though more playful, adolescent and mocking Gemini has a strong relation to little creatures from the realms of the spiritual entities of nature. Whereas Virgo classically relsonates with elves and dwarfs in the first place Gemini seems to relate to little playful kobolds and devils. The name of the site “devil`s garden” does not refer to THE devil in the sense of the commonly known dogma in monoitheist religion. Gemini seems to rather relate to the plaful little creatures that are to be seen as manifestations of the sphere or stage of pubercy, competition and playfulness. This conclusion is supported by the fact that Gemini represents the opposite sign of Sagittarius the sign of the priest castes and shamanism as well as magma, volcanic activity, the cleansing fires and hell. And of course Gemini also relates to the position of this unbelievably beautiful site right on the side of a road.